From New York City, Birchbox announced today, Aug. 15 the winning colors for its Birchbox + Ruffian collaborative nail lacquer collection. The Birchbox + Ruffian partnering marks a first for the Ruffian fashion label and has been launched just in time for Fashion Week. Birchbox beautynistas were given the opportunity to choose the nail lacquer colors in a crowd-sourced vote on the Birchbox Facebook page in February. Beautynistas chose from five shades, inspired by the Ruffian Spring 2014 collection, which were Delirium, Fox Hunt, Hedge Fund, Lady Alabaster, and Venus in Fur. Delirium - The voluptuous blue and purple velvety petals of the African Violet inspired the Delirium of this color. Fox Hunt - Inspired by the thoroughbred beauty of the red fox; Fox Hunt's savage richness will make everyday upper crust. Hedge Fund - Nothing is more inspiring than the color of money, and Hedge Fund is impossible to counterfeit. 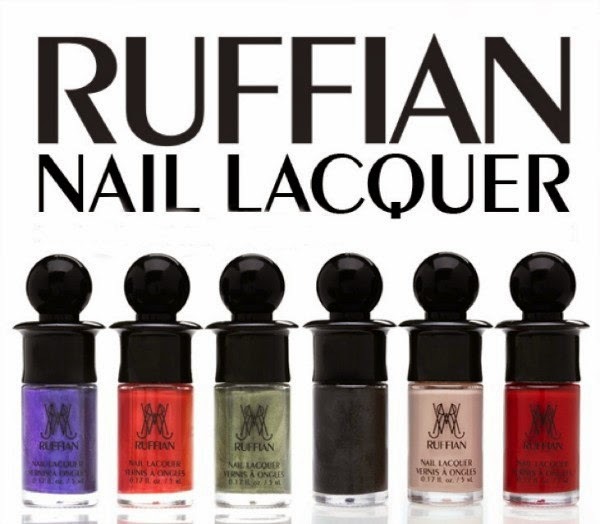 The new nail lacquer collection will also feature the “The Classics Collection” of signature shades Ruffian Red, Ruffian Naked, and Ciré Noir. “The Crowdsourced Collection” will be worn on the runway at the Ruffian Spring 2014 show and sampled in all subscribers September Birchboxes. Retailing for $10 each, or $24 as a trio set, “The Crowdsourced Collection” and “The Classics Collection” will be available exclusively on at Birchbox.